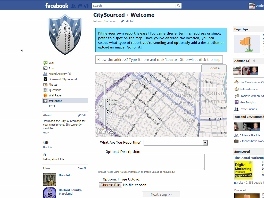 CitySourced customers can create a custom Facebook App so they can report new issues directly from Facebook. Check out the blog below to see the how-to tutorial with a three step step-by-step guide to create a tab on a Facebook page for reporting new issues directly within Facebook. Follow this easy three step process to create you own version. This entry was posted on Tuesday, November 15th, 2011 at 7:37 am. You can follow any responses to this entry through the RSS 2.0 feed. You can leave a response, or trackback from your own site.